Prime Minister Malcolm Turnbull has announced a royal commission to investigate the issues raised in an ABC Four Corners report into abuse in the juvenile detention system in the Northern Territory. The PM has stepped in as the Northern Territory Chief Minister Adam Giles said he would seek advice on the establishment of a royal commission. 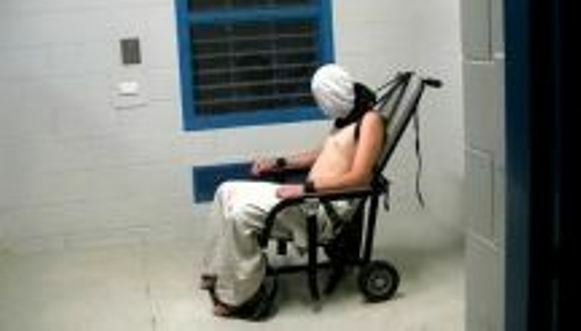 The ABC program likened the juvenile detention system to Guantanamo Bay in the US showing footage of a 17-year-old strapped into a mechanical restraint chair in the Northern Territory’s Don Dale detention facility, along with a series of other videos, showing the repeated stripping, assault and mistreatment of him and other boys including the use of tear gas. “Like all Australians I was shocked and disgusted by [the] Four Corners program,” Giles said in a statement released Monday night after the program aired. However, Turnbull said Tuesday morning the commission would be established “as soon as possible” and would involve the NT government. “We want to know how this came about, we want to know what lessons can be learned from it,” Turnbull told ABC Radio. Giles said the program raised questions about what was going on in the juvenile detention system that date back to 2010. “A community is judged by the way it treats its children and serious questions were raised by ABC tonight,” Giles said. “Equally the Northern Territory Government does not resile from its tough approach to those who don’t want to respect others people’s property or safety. “While the community grants those responsible for running our custodial system certain powers to do a difficult job, those powers have limits. Policies and procedures exist to codify what those powers are and when and how they can be used. “What we saw tonight raises questions about whether those powers have been used in the right way. However, the chief minister said he had full confidence in the majority of custodial officers working in the Northern Territory’s institutions. Human Rights Commissioner Professor Gillian Triggs told the ABC’s Q&A program on Monday night that the CCTV footage was disgraceful and she called for an inquiry into the matter. “[It is disgraceful] that you could even refer to children in [that] way, let alone what they did physically to the children in terms of the tear gas and the stripping of them of their clothes and leaving them in isolation for such long periods,” Triggs said. The Not for Profit child rights agency Save the Children has also called for an immediate Australia-wide review of all juvenile justice facilities to ensure that the abuse of children is not happening elsewhere. Save the Children’s director of public affairs and policy Mat Tinkler said: “We condemn in the strongest possible terms the disgusting abuse of children at the Don Dale detention centre. It beggars belief that a so-called civilised society would treat children this way, children assaulted, denied sunlight, running water and education, stripped naked, shackled, hooded, humiliated and tear–gassed. Tinkler said that while the Four Corners program showed graphically how young offenders are badly let down by a broken system, figures from Save the Children estimated that incarcerating young Indigenous offenders – who comprise the majority of detained young offenders – costs the Australian taxpayer $240 million a year. “A debate is needed in this country about how to reduce the shocking numbers of incarcerated young Indigenous offenders. Alarmingly, an Indigenous young person is around 26 times more likely to be in detention than a non-Indigenous young person. But we also know that locking up young offenders is grotesquely wasteful, costing the Australian taxpayer in excess of $240 million per year,” Tinkler said. Tinkler said Save the Children already had success in turning young people away from a life of crime and repeat offending as an alternative to the harsh treatment of young offenders. Save the Children has also called for the restoration of $300 million in funding for Indigenous programs taken out of the 2014 federal budget, the reinvestment of that money into programs that divert children from the criminal justice system, and new a justice target for Close the Gap to reduce the rate of incarceration of Aboriginal and Torres Strait Islander young people. When children and young adults get into trouble for a crime, regardless of the severity, it is the responsibility of responsible adults to step in and provide the support needed to hopefully get this young person back on track or in the right direction. Yes there are those that the world has given up on and possibly with very good reason, however, these young people are in a system called corrections where they are under the ‘duty of care’ of trained professionals who are suppose to be working with these people to improve their circumstances. Violence breeds violence and violating thei individual human rights is unacceptable. These young people are there because people and systems have let them down in the past, for some this will be the only time they have experienced structure, a warm bed, eating food regulalry and should at a minimum feel safe. It could be one worker that turns on their light and they have an opportunity to turn their lives around. Of course, there will always be those who go on to reoffend, but there are many that only need the right support. When individuals experience this uncertainty, fear and violence and there is no escape the anger will eventually result in violence and often they will reoffend. These workers not only have a responsibility to those young people, but they have the responsibility to the community to give these young people the best possible outcome. SHAME of these staff, SHAME on the systems that have let these young people down, SHAME on those who think they deserve this appauling treatment.